Banavie is a classic 1930's family home situated in the quiet parish of St Martins and is conveniently located in between Town and Guernsey Airport and only a short walk from Princess Elizabeth Hospital. This detached spacious home would provide a great opportunity for purchasers to refurbish the property to their own taste throughout and offers flexible living with the opportunity of extending into the attic and expanding the carport to offer parking for more than 2 cars (subject to the relevant planning permissions). The accommodation on the ground floor comprises of an entrance hall, a large and spacious lounge with a working fire, a separate dining room with double doors leading onto a conservatory which overlooks a mature and secluded garden. There is a well equipped kitchen to the rear of the property as well as a separate utility and WC. 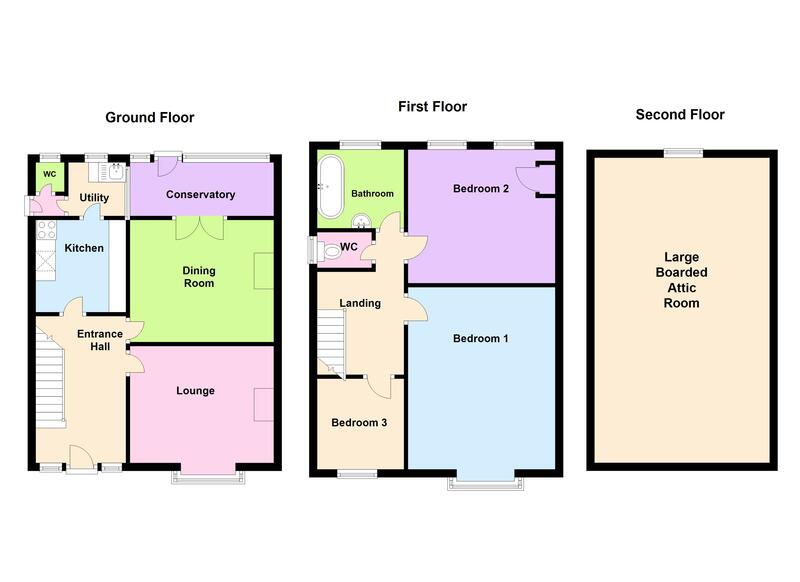 On the first floor there are three good-sized bedrooms and bedroom one comes complete with fitted wardrobes and there is a family bathroom and a separate WC. Banavie would make a wonderful family home and is close to several local schools and the amenities of St Peter Port. Call Cranfords today on 243878 to book your viewing. 10'3" x 7'9". Appliances include Neff single electric oven with 4 ring gas hob, integrated Hotpoint fridge/freezer, dishwasher, washing machine and Belfast sink. Main drains electricity and water. Oil Central Heating.